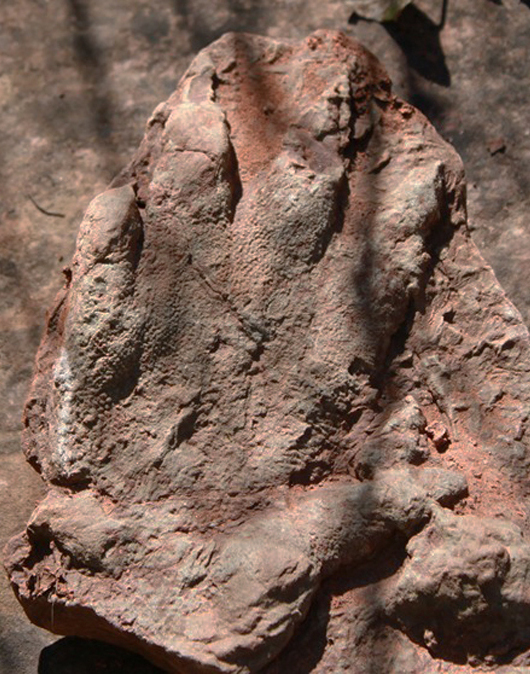 Officials say it's so well-preserved that imprints of the reptile-like creature's claws and skin can be seen. MADRID — Spain says a footprint of a dinosaur that roamed the area 230 million years ago has been found in northeastern Catalonia, and that it’s the best-preserved dinosaur print seen so far in the Iberian Peninsula. The print of a reptile-like creature called an Isochirotherium – an ancestor of dinosaurs and crocodiles – was discovered in early April by a person out walking in Olesa de Montserrat, 25 miles north of Barcelona.